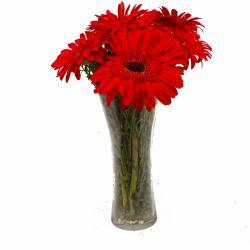 Product Consist : 6 Stems of Mix Color Gerberas with green fillers in Cellophane Wrapping with Ribbon Bow on it. 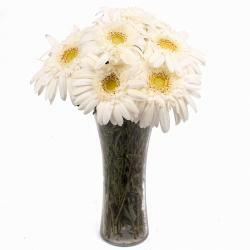 What is a special occasion without fresh flowers. If this adage is indeed true, this gift pack will definitely be hard to turn down. 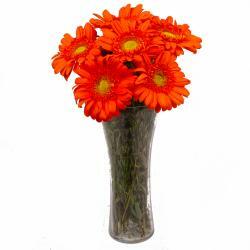 This contains six stem of mix color gerberas You will ever find. 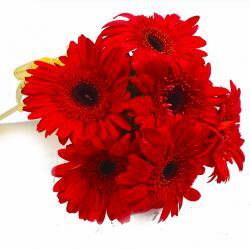 These tempting and super cute gerberas make for novel gifts for special occasions like Birthday, Anniversary, Missing You, Ganesh Chaturthi, Boss Day, New Born, Janmashtami. They are delightfully packed in cellophane with a matching ribbon bow tied for added effect. 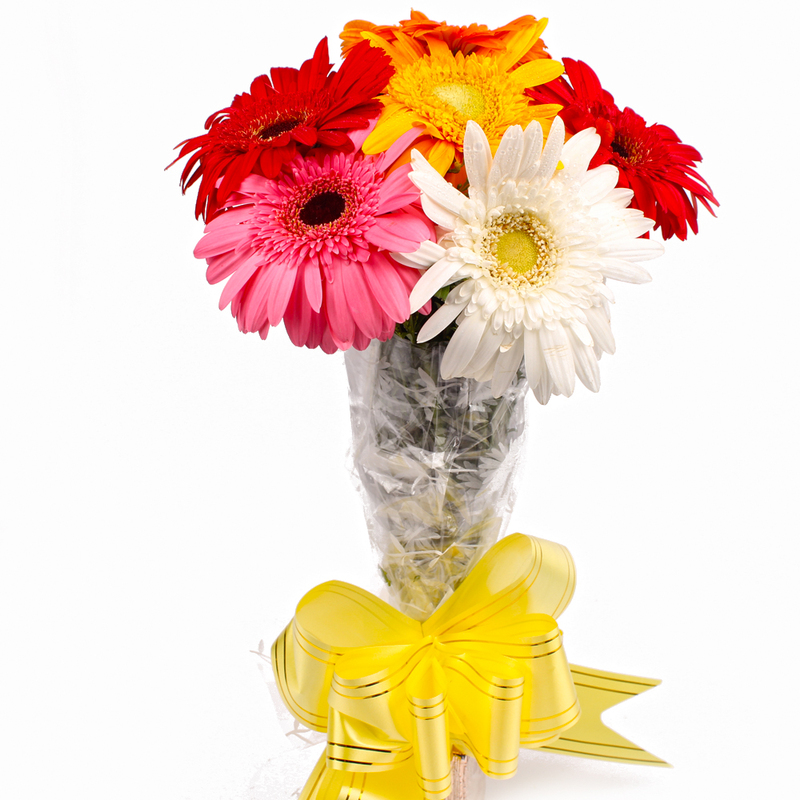 Check out this amazing gift pack today itself and revel in the sheer beauty of the same. 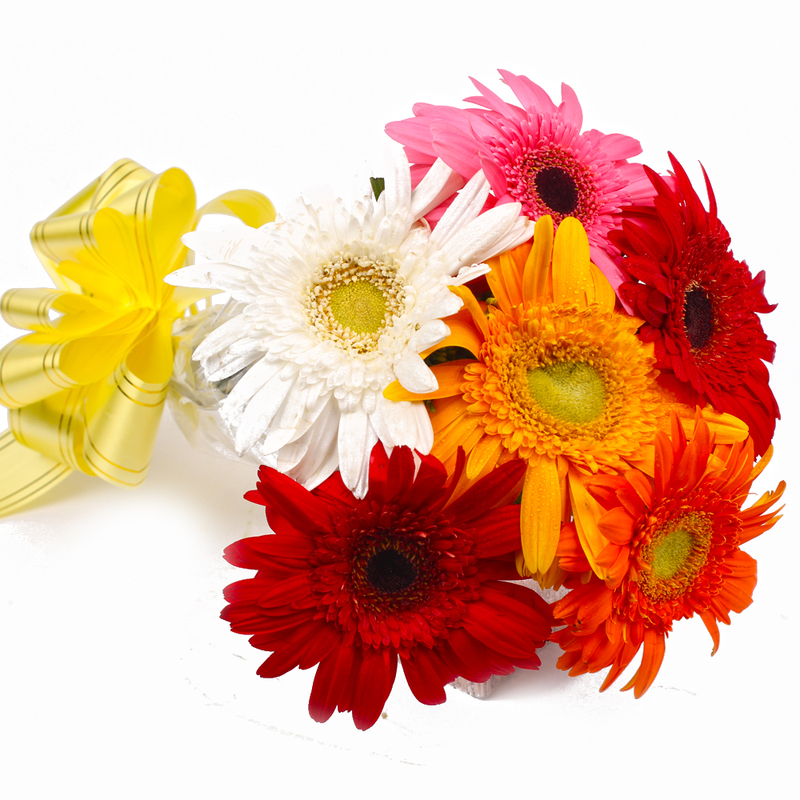 Product contains : Six Mix Color Gerberas with green fillers in Cellophane Wrapping with Ribbon Bow on it.